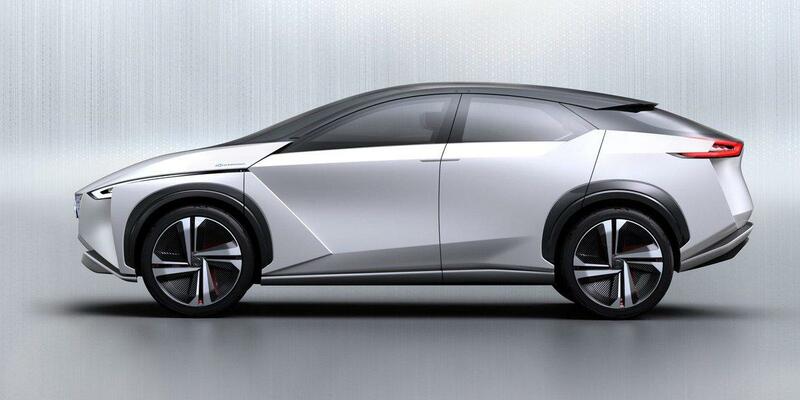 After revealing the concept of the Nissan IMx last October, the Japanese auto manufacturer will be bringing it into production sooner than expected. Mamoru Aoki, one of the company’s executive design directors, told Autocar that it would happen “in a few years.” There’s an expectation that the new electric vehicle will finally attract a mainstream audience. That future seems to be coming in the next couple years, and it’s a pretty aggressive goal considering what the concept featured. Their ProPilot self-driving system is expected to offer full autonomy and the steering wheel would retract when activated. A minimalistic dashboard is also operated with the use of eye movements and hand gestures. In terms of making the SUV successfully electric, Nissan has the idea of putting the entire battery under the floor. This would lower the center of gravity and balance the vehicle out, providing further range. When the vehicle isn’t in use, the battery will have the ability to return electricity into the power grid. No concrete dates or prices were given on the electric SUV, but it’s still being built on the Leaf chassis. That could make it cheaper than the competition, which involves Tesla's Model X and Jaguar's I-Pace with options at close to $70,000 and higher. Joining Nissan in 1989, Aoki was behind plenty of developments by the Japanese auto manufacturer. He created one of the first Primera models (known as Infiniti G20 in the US) back in 1990, with production lasting until 1996. He was also responsible for designing the 350Z, a two-door sports car, which began production in 2002. If the new Nissan IMx is coming out by 2020, it’s hard to envision some of the features that the concept car touted at last year’s Tokyo Motor Show. This is a good sign for those that are interested in purchasing a more affordable electric SUV with adequate range in the near future, which is something that will interest the mass market.